Sometimes you see a fighter for the first time and you just know he’s the genuine article. And that’s exactly what I sensed the first time I watched Mikey Garcia 37-0 (30) fight. In fifty-plus years of watching boxing and observing fighters, Mikey Garcia is easily one of the top10 most fundamentally sound and mistake-free I’ve seen. Garcia has a high boxing aptitude and great intuition. 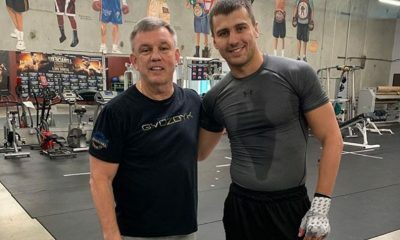 Couple that with his determination, toughness and desire to be great, and you have a special fighter, one who must be considered among boxing’s top five pound-for-pound practitioners today. Leading up to this past weekend’s fight between Garcia and Adrien Broner 33-3 (24), many questioned Broner’s dedication and pondered what type of effort he’d give. 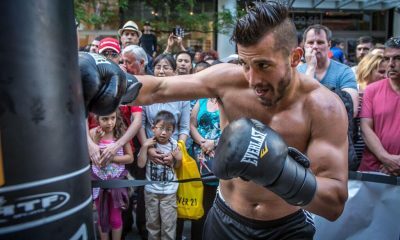 When he weighed in at 138.8, more than a pound under the 140 stipulated weight, it was widely assumed Adrien took his training seriously and would at the least, if he didn’t win, give Garcia the toughest bout of his career. But Broner lost a unanimous decision and I don’t think the fight was as close as the officials scored it (117-111, 116-112 and 116-112). I scored it 118-110 (10-2 by rounds) for Garcia. It was only the third defeat of Broner’s career, the other two coming against Marcos Maidana (UD-12) and Shawn Porter (UD-12), both formidable former world title holders. The difference in the three losses is that whereas Maidana and Porter out-toughed and out- worked Broner, Mikey Garcia outclassed him. Never at any point during the bout was Broner in control, opposed to his tussles with Maidana and Porter, where Adrien had some big moments and looked at times to be their equal. However, I think in the post-fight fog, Broner is being excoriated more than is warranted. Mikey Garcia put on a boxing clinic and beat Broner at every turn via out-thinking him and then out-fighting him. As stated before the bout, Broner never approaches his fights with a game plan; he believes his quick hands and feet along with his stop and go flurries will always be enough to carry him through to victory. And against most fighters that’ll usually get the job done…..but Garcia isn’t most fighters. What Garcia did against Broner was masterful and I’m not sure Broner grasped fully what was happening to him as the fight progressed. 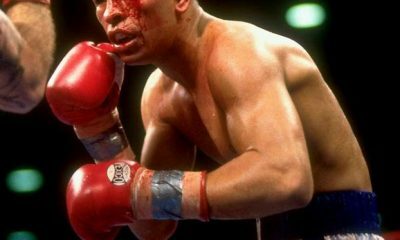 Garcia understands timing and distance like few fighters around today, and he also realizes that you don’t have to make an opponent miss by a mile, which leaves you out of position to counter him. All you need to do is make him miss. For 12 rounds, due to him always being in range and at the perfect distance, Garcia made Broner miss by millimeters and then made him pay….and Broner knew it wasn’t by accident. 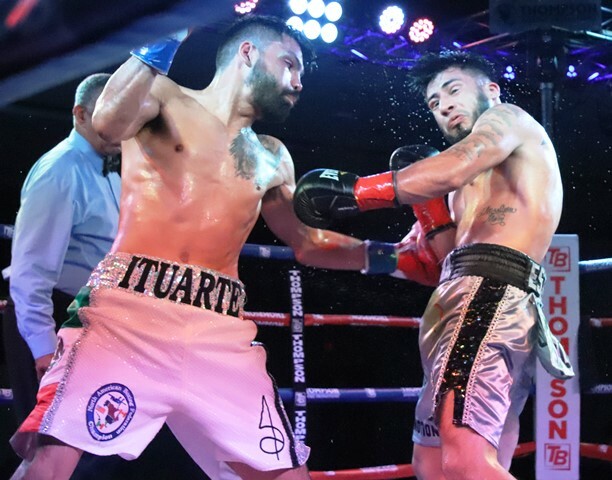 This forced him to over-compensate by virtue of sometimes not punching enough to avoid the counter -or- he cut loose too recklessly, hoping to keep Garcia on the defense. Adrien Broner is a flashy fighter. 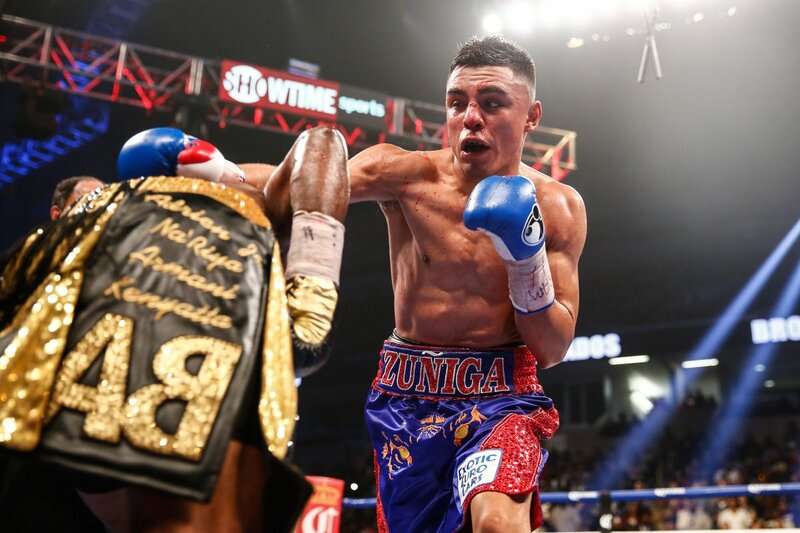 He’ll never be confused for being a cerebral fighter, but against Garcia he actually tried to change things up and resort to a plan-B and even plan-C….but that has gone unmentioned since PaulieMalignaggistated it during the broadcast. Broner began the fight using his legs, moving to the left while flicking out his jab – hoping to counter and pepper Garcia when he tried to close the distance. The problem was Garcia was using a lot of half steps, making Broner believe he was coming into his range. That forced Adrien to initiate too soon. Garcia read it and countered him straight on. Broner wasn’t sure why he was getting hit, at least I don’t think he was. But what he understood was a change was needed. 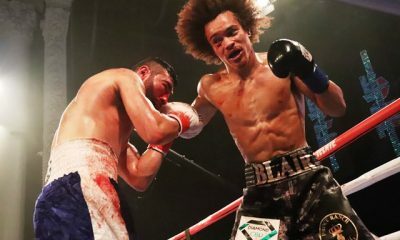 So he then tried the old shoulder lean as he walked to Garcia with his left jab extended as a decoy, once again hoping to induce Garcia to over-commit. 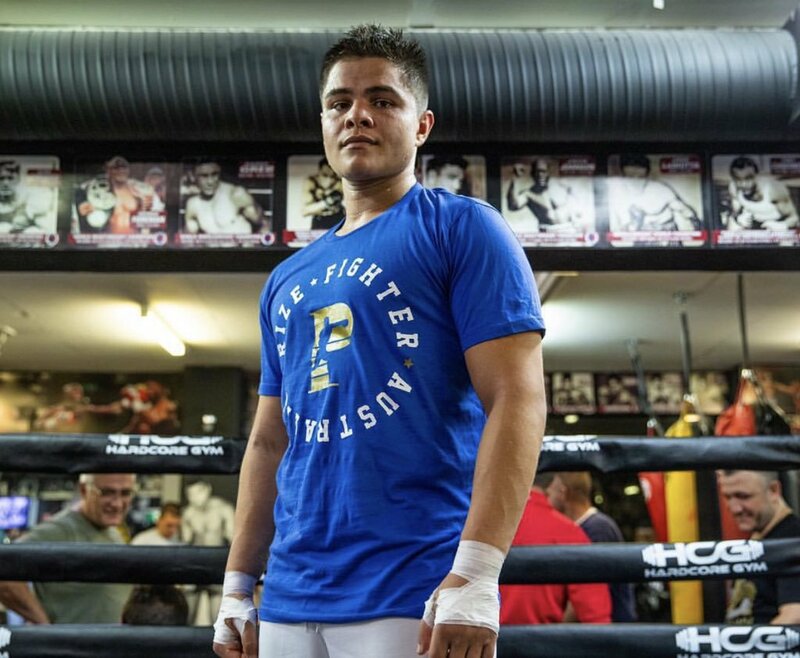 And when Garcia saw the switch, he knew Broner couldn’t punch with authority from that position and instead of inching forward in half steps, Mikey baited Broner to pursue quicker than he wanted instead of inching forward and then BAM…..he countered Adrien with counter rights and lefts, and then picked a side to work his left and right hooks, and perfectly placed uppercuts. During the final rounds Broner was desperate and really tried to force the fight. 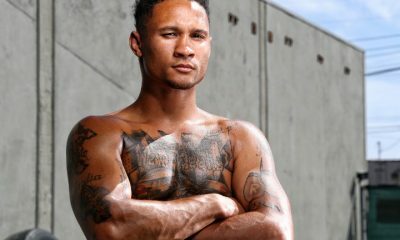 Mikey smartly gave ground, understood Adrien was fighting with urgency and moved just enough to where he was in position to pay Broner back when he stopped to reload. It was a thing of beauty watching Garcia use his perfect footwork to keep him out of harm’s way, but yet in position to counter. There were countless gaps of the fight in which Garcia lulled Broner into punching at air, missing by a morsel, time after time. Garcia had Broner in a real catch-22. When Broner cut loose, he just missed and was hit cleanly in return. And when he tried to be more judicious with his offense, Garcia walked him down with nothing coming back at him. Broner tried, but once his speed and ability to make Garcia do a single thing he didn’t want to do was nullified, he had to wing it, and nobody is beating Garcia by winging it. If it wasn’t for Broner’s advantage in size and strength, he would’ve really been beaten up. It was obvious watching the fight that Broner was the bigger and stronger fighter physically. Garcia was brilliant and his superior fundamentals and aptitude trumped Broner’s advantage in physicality. It was also obvious that lightweight is where Garcia belongs. 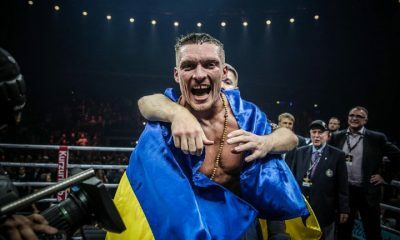 He hit Broner, who isn’t the bravest fighter around when things aren’t going his way, with his Sunday punches and Adrien never looked like he wanted out or feared trading with him. Adrien Broner is an easy target to rip for many reasons and he has no one to blame for that but himself. But he did take the fight with Garcia seriously and was in great shape. He never stopped trying to win it, but he didn’t have an answer for anything Garcia did. 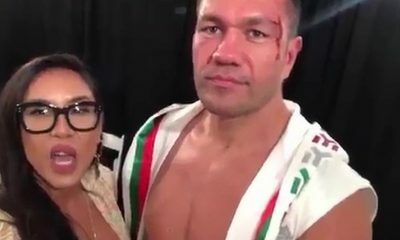 Mikey Garcia is an efficient technician and everything he does in the ring has a purpose, unlike many fighters who do things that serve no purpose but sometimes look unique and cool. Instead of admonishing Adrien Broner for the loss, Garcia should be lauded for his stellar performance. Not many fighters could dominate Broner and nullify all that he tried the way Mikey did, and it wasn’t an accident. 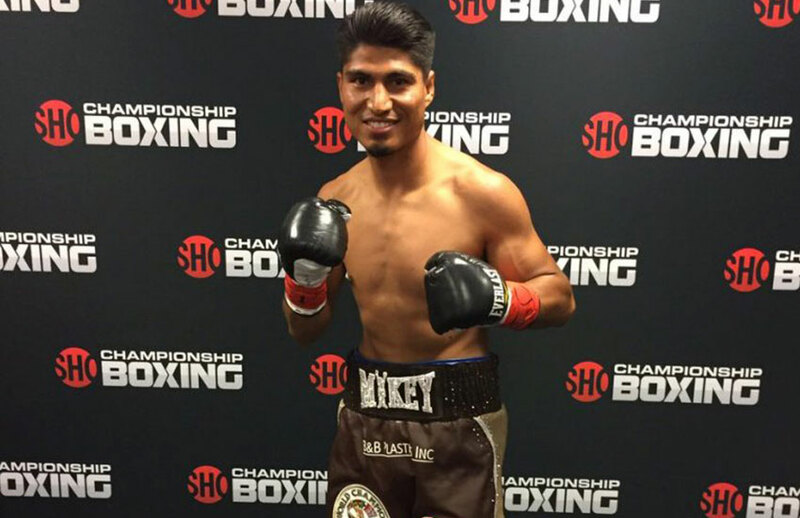 Mikey Garcia dominated Adrien Broner not necessarily because he’s more skilled……he dominated because he is a straight-up better and smarter boxer, from top to bottom, inside and out. Broner is the same fighter every time out. 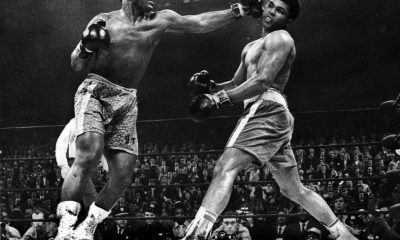 The rudimentary things he never took the time to learn became very apparent against the best technician in boxing. Garcia fought perhaps the most complete fight of his career against the best fighter he has yet fought in Adrien Broner, but he’s not a junior welterweight, he’s a lightweight. 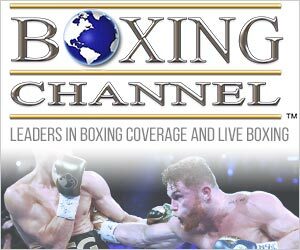 There are some great fights for Mikey Garcia at 135 if he can get Jorge Linares or VasylLomachenko in the ring with him. It easy to say Broner is a bum, but he’s not….”The Problem” was that Garcia was efficient and purposeful. He was terrific.